The Ford Mustang is legendary sports car having many variations to its credit for customers to opt from. Check out this article to discover the different types of Mustangs. A Ford Mustang passes by you and you instantly start dreaming of turning your own car into one such macho and hot street machine. Such is the image and personality of this masculine and high-powered legendary car that was named after a fighter plane P-51 Mustang in World War II. Headquartered at Dearborn, Michigan in United States of America, the Ford Mustang is a line of sports car manufactured by the Ford Motor Company. Ever since the first Ford Mustang model ran on road in 1964, the company has been known for producing world-class racing sports cars. Whether you name them muscle cars, power machines, or manly beasts, the Ford Mustang stands true to its name and features. For those of you who admire this heavenly racing vehicle, the following lines give you a glimpse of the different types of Mustangs that were and are offered by the Ford Motor Company. Check them out! Introduced in 1964, the first generation of Ford Mustang ran through 1964 to 1973. The 1964 Mustang was introduced at New York’s World Fair and later turned out to be a huge success with just under 100,000 units sold in the first year. Buyers had the options to choose from a 6-cylinder or two V-8 engines in a coupe or convertible version. The improved version Mustang GT was on road just a year later in 1965, offering a 225 or 271 horsepower engine. 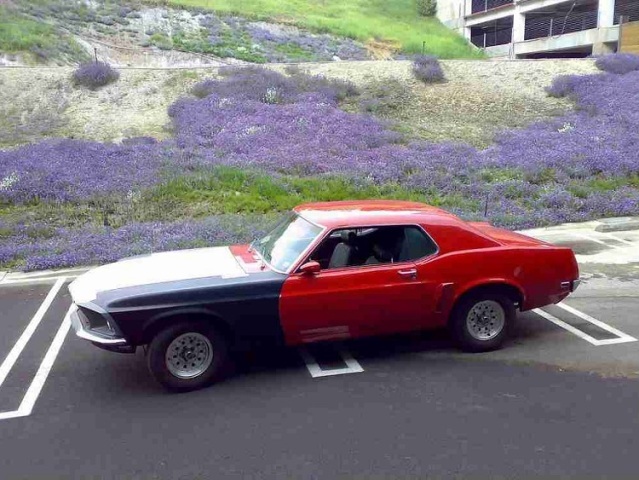 Till 1973, Mustang had seen several redesigns and modifications as 428 Cobra Jet, Boss 429, and Mach One. The second generation began with a smaller model and less powerful engine titled Mustang II in 1974. Known as ‘MPG’, some models were equipped with a 4-cylinder engine and offered great fuel efficiency. These were offered in coupe and hatchback versions. In 1976, people got to see the Cobra II followed by King Cobra in 1978. The 1979 Mustang was redesigned and launched with a new Fox body as the one of the many third generation models. It had a 4.2 liter engine, which was then upgraded to 5.0 liter engine in 1980. Initially offered in coupe, notchback, and hatchback, the company added a convertible version to this cap in 1983. With the beginning of 1984, Ford introduced 3 new models, SVO, GT 350, and Saleen with options of choosing a turbocharged 4-cylinder engine or a 5.0 liter V8 engine. The Mustang entered the sports category with SVT Cobra launched in 1993, offering a horsepower gain of 10 and better engine handling. The third generation ended with the introduction of SVT Cobra R model. The Mustang was given a makeover and a fresh redesign for the first time in 15 years. The designer cues and more power brought the new Mustang into the limelight. The base model came with a standard 5-speed manual transmission or optional 4-speed automatic. The old V8 engine retired and was replaced by the newer 4.6 liter SOHC V8 with 1996 Mustang GT. 1999, yet again, saw some major styling themes played with the older versions flaunting sharper contours, larger wheel arches, and creases in its bodywork. Next, the Mustang introduced three models as the world welcomed the new millennium. Bullitt in 2001, Mach I in 2003 and 2004, and Cobra in 2004 were available in colors of blue, green and black. The newly redesigned Mustang S-197 was the first of the many soon-to-be-launched models introduced in 1995. This model was highly inspired by the fastback Mustangs of the late 1960s. The Mustang GT was now available in coupe or convertible versions, delivering 300 horsepower with 4.6 liter engine, only later to be modified to 550 horsepower with the GT500 model. The present generation has been known for producing some of the most powerful and masculine Mustangs ever seen on road.